We were pleased to accommodate our Woodinville client in her desire for a horse arena for her already successful dressage business. 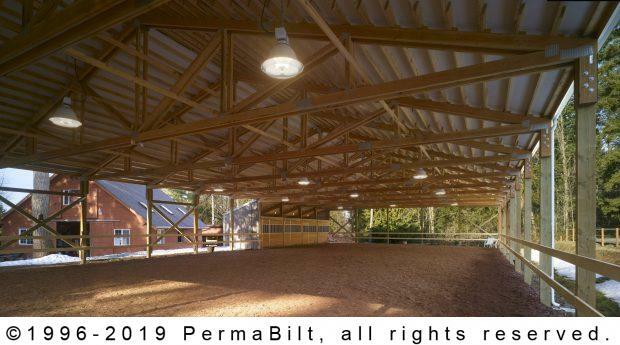 Our client was aware of PermaBilt’s® quality building history and was confident we would design and build an excellent horse pole arena. 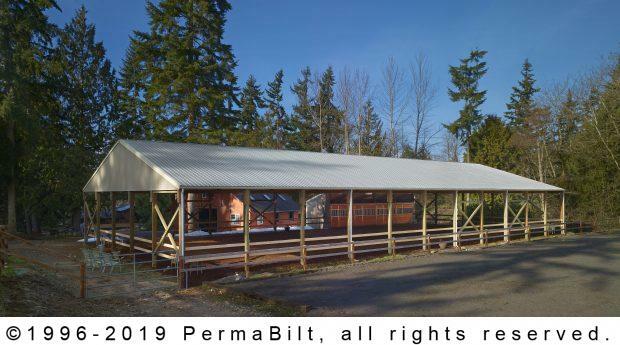 Once we completed our design, the permitting department worked tirelessly to meet the requirements from King County for a structure of this size. 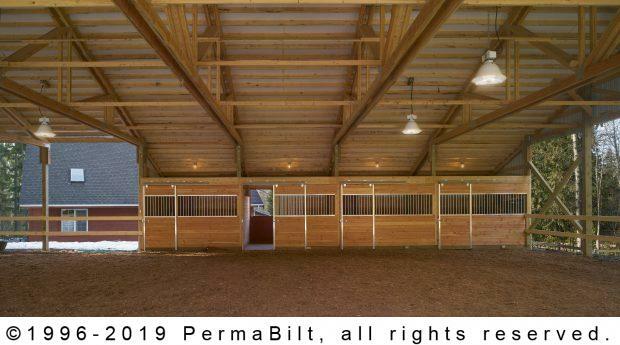 The plans called for four PermaStalls® that included three walls 7’ high (consisting of 2” x 6” Standard & Better Tongue & Groove wood application), a Paragon Pacific grilled stall fronts, grilled 4’ x 8’ sliding doors, feed doors with drop bar latches, and a removable grilled stall divider (this included Tongue & Groove wood on the stall separation wall). As explained to her, all our aluminum components guard against rust, constant abuse and corrosion year after year. 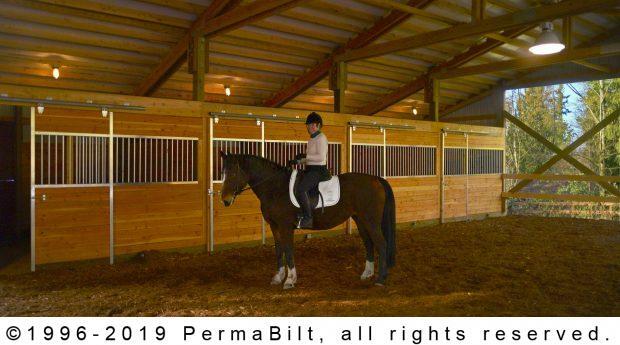 And splintering, due to cribbing, was greatly reduced because all the wall and door edges were framed within an aluminum U-channel—much to her satisfaction. Northwest weather which made both her and her customers quite happy!